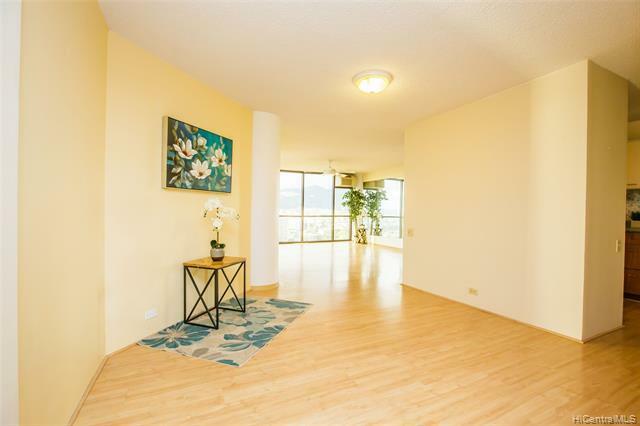 Enjoy this beautiful high floor, breezy residence w/ sweeping views of the harbor, ocean, city, and mountainside. Spacious floor plan with 1,400+ sq.ft. of living area in a pet friendly and secure building. 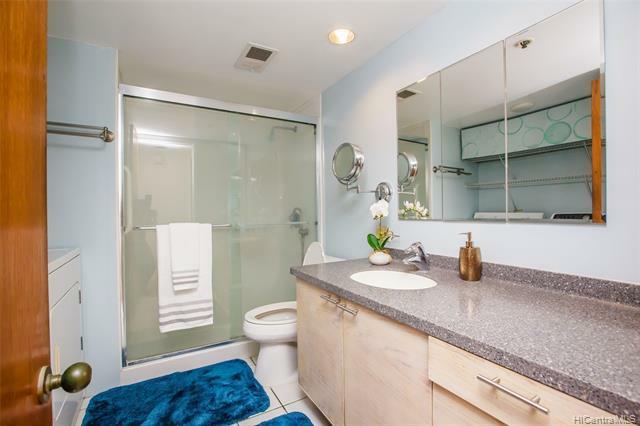 Maple laminate flooring, renovated bathrooms, and custom closet systems. Two balconies to take in the sights and two convenient side-by-side ground level parking stalls. 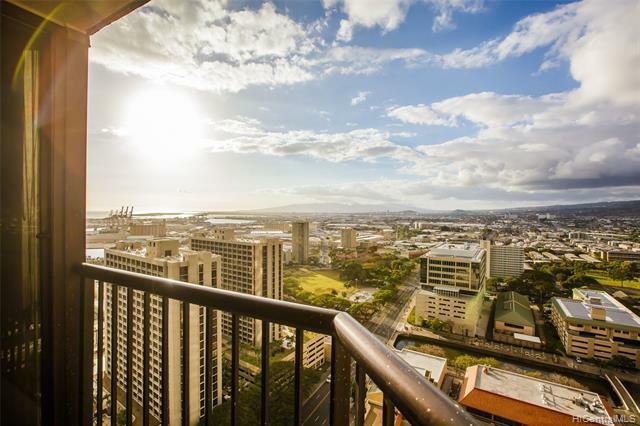 Honolulu Tower is walking distance from shops, Chinatown markets, and Downtown restaurants and business district. 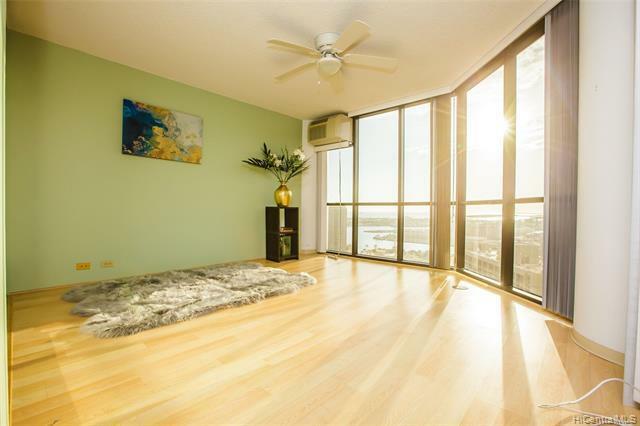 Refined Honolulu city living with a relaxing ambiance. Amenities include BBQ area, Pool, Whirlpool, Resident Manager, and 24-hour Security. Listings provided courtesy of Graham Realty Inc..